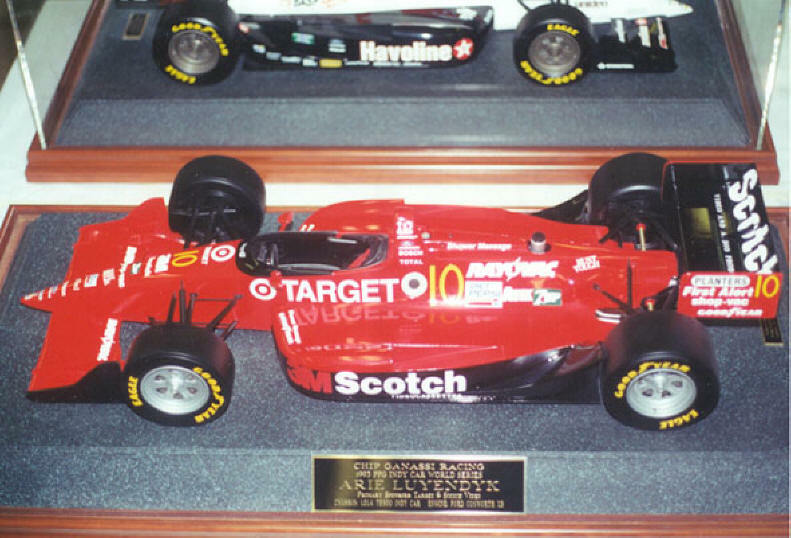 1993 was the only year that we built models for Chip Ganassi Racing Teams. It was a 1/10th. scale that went to Chip Ganassi himself, of his Target Scotch Video #10 - Lola Ford Cosworth XB, driven by Arie Luyendyk. The next time we built a Chip Gannassi car was 1993/1994 as part of our Japanese order, where we built four, 1:10 scale 1993 Target/Scotch Lola Chevrolet #10's. One large 1/5 scale. model was also built of the Arie Luyendyk Lola.